Tacoma Art Museum extends a hearty “Howdy y’all!” invitation to Western Fest on Sunday, February 28, 2016, from 10 am to 4 pm. Break out your cowboy hat, Wranglers and boots, because this festive event promises fun for all ages with live performances and hands-on activities. Washington State History Museum and the Children’s Museum of Tacoma will bring activities to Western Fest at TAM as well. Entrance to the event is free or by donation. Artist Demo with Cowboy Fred – Visit with lively local legend Fred Oldfield, who will paint while sharing stories about his life as an artist and cowboy in the Yakima Valley. Several of his paintings are on view in the museum’s Haub Family Galleries, as part of the exhibition Northwest Cowboys in Art. Fred established the Western Heritage and Art Center in Puyallup. Leathercrafting Demo with Sam Cortina – See award-winning leather artist Sam Cortina who is visiting TAM from the Austin, Texas, area. Leathercraft is the practice of making leather into craft objects or works of art, using creative tooling, shaping and coloring techniques. In addition to making beautiful works, Cortina has two goals: first, to share his art with others around the world, and second, to share the techniques that he uses with others to expedite the learning curve. Wood Carving with Al Zantua – Catch the fresh scent of cedar while you watch Tsimshian/Haida artist Al Zantua, whose work is in many private collections and museums. Demonstrations begin at 11 am. Joe Seymour demonstrates Drum Carving and Decoration. Coast Salish artist Joe Seymour (Squaxin Island/Acoma) began his artistic career by carving his first paddle for the 2003 Tribal Journey to Tulalip; he carved his first bentwood box that year, and after the Tulalip journey, he learned how to stretch and make drums. Now a multitalented artist, Seymour works in printmaking, glass, photography, Salish wool weaving, and wood and rawhide drum making. Landscape Sketching on the Atrium. How has the Tacoma western landscape evolved? Check out historic photos of downtown Tacoma, and create your own landscape sketch. From Trails to Rails: Make a Whirligig with the Washington State History Museum. Explore the west through a variety of artifacts, ephemera, and an art activity inspired by historic travel posters from the Northern Pacific Railway. See a bentwood box, masks, Native drum, a leather poke, bee smoker, and more. Make a whirligig and design a railroad travel poster to take home! Children’s Museum of Tacoma Storytelling and an interactive western activity. Faro Card playing. Visitors can try their hand at the card game Faro. This game was more popular than poker in the old west, played in almost every gambling hall from 1825 to 1915. Live Music from The Earnest Lovers. 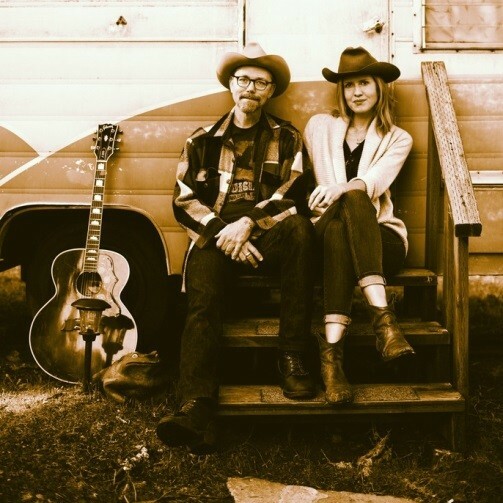 Tap your toes to the tunes of these “vintage honky tonk heartbreak serenaders” from Portland! Taking the stage from 11 am to 2 pm. TAM Cafe Western Fest Special: For $7 you can enjoy the tangy Western Burger, featuring TAM’s New West Bourbon BBQ Sauce atop a juicy beef patty crowned with fresh tomato, melted Tillamook cheddar, and crisp lettuce. Served with local favorite Tim’s Cascade chips. Tour the Galleries: See these terrific exhibitions! Painted Journeys: The Art of John Mix Stanley; Artists Drawn to the West; Saddles, Spurs, and Quirts: The Art of Leatherworking; Northwest Cowboys in Art; (Re)Presenting Native Americans; Dale Chihuly at Tacoma Art Museum; Celebrating 80 Years: People’s Choice; Well Worn Narratives – The Mia McEldowney Jewelry Collection; and What’s New at TAM? Recent Gifts to the Collection. TAM’s Free Community Festivals are generously supported by the Tacoma Arts Commission. Seasonal support is provided by ArtsFund.